plentymarkets POS – Start selling more! Bring all the advantages of plentymarkets to your local store! Whether you want to use the plentymarkets POS module on its own or connect it to your online business, you'll be sure to profit from all the advantages of our innovative E-commerce ERP. You will be able to sell comfortably any time thanks to our comprehensive service functions and offline capability. 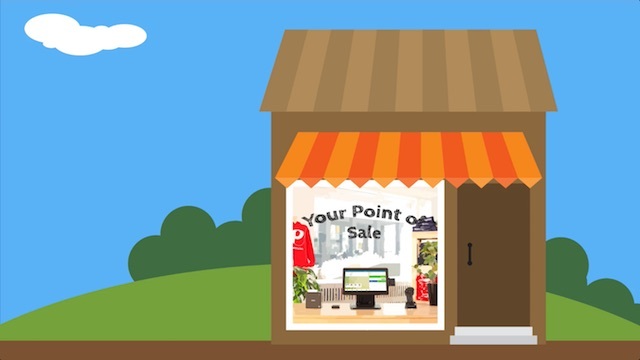 With plentymarkets and a plentymarkets POS system, combine the vast potential of e-commerce with a brick-and-mortar store - or choose one or the other. plentymarkets POS is based on an app and covers all areas of a modern till from your stock overview to return management. You will always be able to sell comfortably in your store thanks to comprehensive service functions and offline capability. All product relevant data is saved directly on your device. Therefore, you do not need to be connected to the Internet at all times. Stock data will automatically be synchronised as soon as you are back online. It's important to stay on the safe side and keep an eye on your business. plentymarkets assists you with comprehensive possibilities for managing user accounts and user rights as well as providing you access to detailed reports. * The plentymarkets POS module is free of charge - regardless how many tills you need. We simply charge a flexible license fee for every sale that you make. This fee varies depending on how much money you made on the sale. However, you will never pay more than £ 39 per month and till. This will keep your expenditures from spinning out of control. Please refer to our pricing model for further information.